When I first started networking around Hampshire to grow my business, I met many interesting people who had created incredible brands - one of them was Leah, the founder of The Skin Coach. The Skin Coach is such an exciting brand: Leah takes away the guesswork when it comes to skin concerns, triggers, and routines. She helps people achieve their optimum skin and gain back the confidence in feeling happy in their own skin. Skin coaching sessions help discover the secrets of how to help keep skin stay clear, smooth, young and protected; and helps you understand how daily occurrences like diet and stress can affect skin - and also how to help it recover. I have been seeing Leah for a few years now for beauty and skincare therapies, and I was super excited to hear that she has launched a brand which helps people love the skin they're in. The Skin Coach offers 1-on-1 sessions, and 4 Week Programmes to help you learn how to treat your individual skin type. After going to Leah's VIP event earlier in the year, I was very excited when Leah welcomed me to trial the 4 Week Programme and see the results for myself. I have struggled with acne when I was younger - there is literally a gap in my teenage years when you won't find any photos of me because I was so self conscious of my skin. In my early twenties, I was still getting a lot of blemishes, but the acne was on it's way out of my system. I'm now in my late twenties but blemished skin is still a problem for me - I get big spots around my chin and my nose, and occasional breakouts. Even though now I give less f**ks about going out without makeup to places like Tesco or just popping out to see family or friends in their homes, I would never go out without makeup to get food, in a group of people, to see clients, or any kind of social situation. Funny story - when I met Liam, I actually had bought makeup that I could sleep in without clogging up pores because I didn't want to wake up without makeup on. It's a safety blanket. I still don't know if he knows I completely tricked him with my flawless morning complexion! 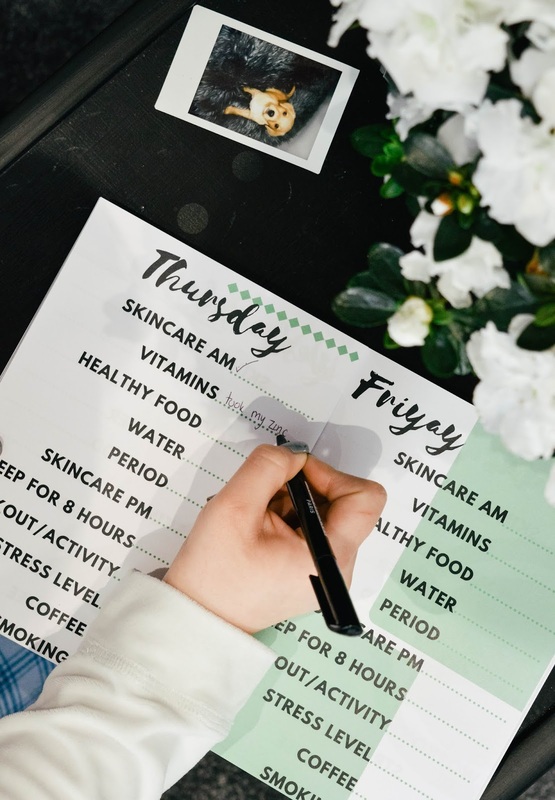 The first thing that happens when you book onto the 4 Week Programme is you have a 1-on-1 call with Leah where you talk about your lifestyle and skin worries/hopes, which helps Leah create a personalised plan for your skin programme. We talked about my habits and routines, and it was clear to Leah that my breakouts were caused by stress, and naturally I also have some hormonal breakouts when it comes to my monthly period. But it's the stress part that got me - I honestly didn't realise how much that could impact your skin! What I learnt is that stress puts your body under so much pressure that it even affects your skin - it's just a big no no! Leah gave me tips and hints to implement straight away which would help me eliminate stress as much as possible, and give my body the chance to relax and unwind. She also gave me suggestions for skincare items and some samples of products to try whilst on the programme. Our 4 weeks started and I was armed with everything I needed. Naturally my 4 weeks were not stress free as I would have hoped: I hit my streak of WTF events. During the programme you have access to The Skin Coach Facebook 'accountability' group where you can talk to the other participants, share your progress, get hints and tips from Leah, and watch her live sessions where you can all catch up. Being able to message The Skin Coach when I was having a bit of a set back or didn't know what to do was amazing - I felt like I have my own personal beauty guru to help me through! 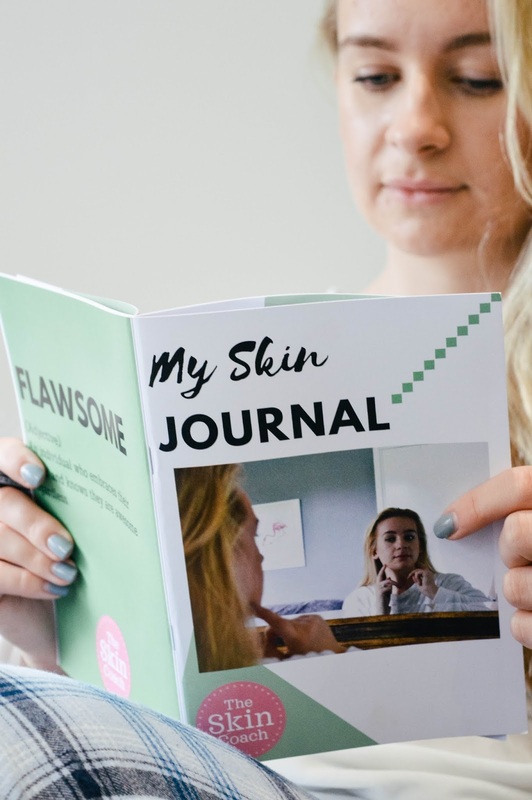 We also received a skin care journal where you can document your daily events and diet to work out if there is a pattern to your breakouts and what can be done to prevent them. 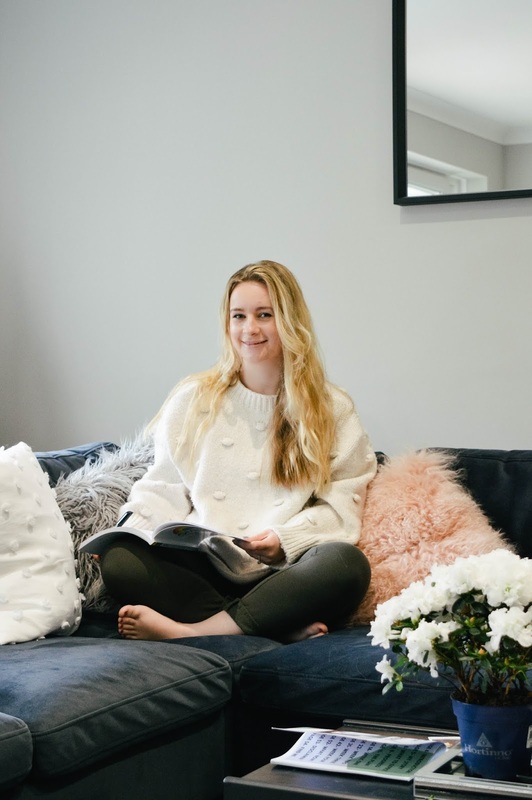 The journal was great help to keep on track - along with Leah's advice there is literally nothing stopping you from getting the best out of the programme event when life gets a little hectic. By the end of the 4 Week Programme with The Skin Coach I felt like I have gotten better at keeping healthier lifestyle habits in general - my mental health was better because someone had given me tools and 'permission' to take time to work on myself. What's more is that Leah's prognosis of less stress = better skin was certainly working: those big mean spots have disappeared and my skin was looking brighter and clearer in general, and that's in just three weeks! 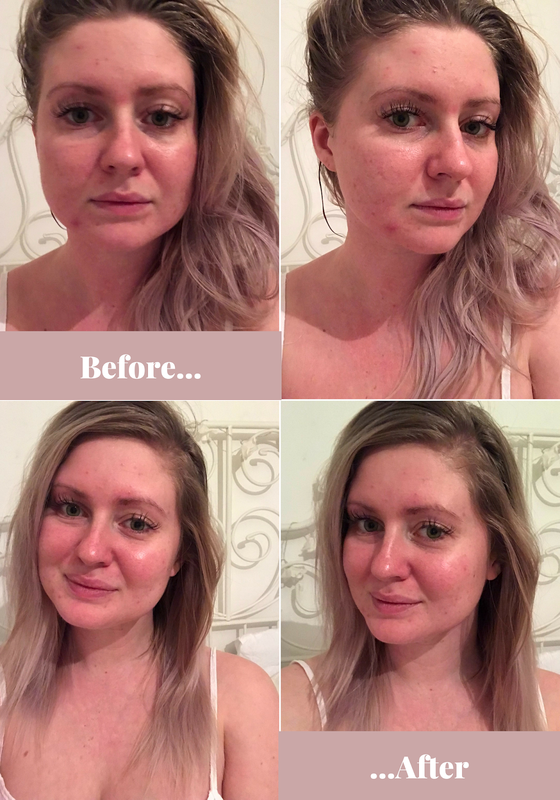 I was really impressed with the results - I didn't think learning about my skin and my mind would have such a big impact on how I view my skin and how I can help it be the best it can be. You can also find more results on The Skin Coach Instagram! *The Skin Coach has invited me to participate in the 4 Week Programme - all opinions and thoughts are my own, and as you can see by the results I can tell you it works!